Your role as caregiver, family member, or friend evolves with the progression of dementia. Even faced with challenging behaviors, you can still connect with your loved one and fill their day with meaningful activities. NursePartners is here to support you while your relationship evolves with the person living with dementia. What is their behavior telling you? We are constantly learning more about the brain’s ability to comprehend messages. This includes messages that are delivered through speech versus writing, in a crowded space versus a one-on-one situation, or even a familiar voice versus one of a stranger. Alzheimer’s disease and other dementias can cause people to act in unpredictable ways. Some individuals become anxious or aggressive while others repeat certain questions or gestures. Messages can be misinterpreted, surprising both the care recipient and caregiver. These types of reactions lead to misunderstanding, frustration, and tension. It’s important to understand your loved one is not trying to be difficult and that these behaviors are also forms of communication. Rhythm of speech (this includes awareness of the rhythm of a question that is seeking an answer, as well as ability to sustain rhythm or hear a rhythm that sounds familiar). Additionally it can and does signal changes in emotion – changes in frequency, intensity, or volume can indicate shifts in emotional state or discomfort. Rhythmic speech as is present in music, poetry, prayer, counting and even spelling. Offer simplified options, by using two options at a time, or encouraging yes/no responses. Employ the use of object pronouns. Awareness, knowledge, skill and support for both parties. Mary Stehle, licensed social worker and Senior Care Advisor says, “A person with Alzheimer’s who has lost the ability to understand and communicate through language is always looking for cues from us as to how to interpret the world. They are constantly reading our tone of voice, facial expressions, and body language. When we are tired, stressed, and resentful, they pick up on this and it often impacts them negatively.” It’s important to remember that asking for help is not an act of selfishness, it’s providing better care for both you and your loved one. We can be by their side when you can’t be. 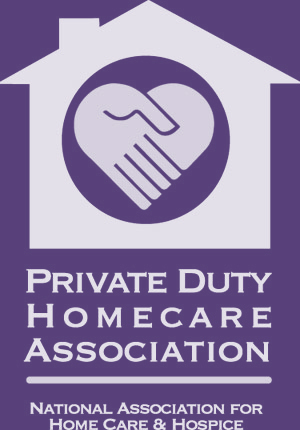 If your loved one need home care assistance or relief – Contact us today. NursePartners is committed to providing uncompromised care to those living with a diagnosis of dementia. Our carepartners work with each family to enable safety, comfort and happiness through home-care services. Falls are a common and serious problem affecting many older adults. Individuals suffering with Alzheimer’s disease or another form of dementia however, are twice as likely to experience annual falls and fractures. This varies from a range of factors including medication, night waking, shuffling, weakening musculature and balance. The first step in protecting your loved one from a serious injury associated with a fall is understanding the risk factors. While everyone is at risk for falls, older adults are at the greatest risk due to chronic health conditions such as heart disease, arthritis, low blood pressure, Parkinson’s disease, dementia and other cognitive impairments. While some individuals in the early stages of Alzheimer’s are in excellent physical condition, many others seem to develop difficulties before cognitive impairment even begins. As Alzheimer’s progresses, it can cause lack of coordination, muscle weakness and diminished joint flexibility. As we get older, the nerves that carry information to and from the brain deteriorate. This slows reaction time and the ability to navigate around obstacles. This can be hazardous as seniors do not react as quickly in dangerous situations. Many medicines also have side effects, causing dizziness, drowsiness and impaired vision. Many times, falls can happen because of environmental factors and hazards found throughout the home. These include everything from wet or slippery floors, poor lighting, to tripping hazards such as loose rugs, uneven floors, and trailing wires. Because Alzheimer’s disease can affect the visual-spatial abilities, an individual can misinterpret and misjudge steps, uneven terrain, shiny areas on the floor or changes in floor color. Identify the risk factors for your loved one. Many people with Alzheimer’s and dementia suffer from poor eyesight, shuffling gait, muscle weakness and generalized frailty. Minimize or avoid medications that have been linked to falls. People with dementia are also more likely to fall when taking sedatives, tranquilizers, and antipsychotics. Exercise is important in preventing people from falling, especially if it includes balance and strength exercises. Ask the doctor about leg strength, gait, and balance evaluations. These tests help can determine physical risk factors. Consider a physical therapist or occupational therapist. These experts can work with your loved one to develop exercises strengthen joints. Make sure your loved one has eye tests regularly. Low vision is a huge risk factor for falls, and many vision problems come on gradually but steadily. NursePartners’ use of theGEMTM methodology will also alert us towards changes in vision. Finally, get a home-safety assessment. Carepartners routinely perform these and can target danger spots and suggest easy improvements. This assessment can focus specifically on the needs of your loved one. 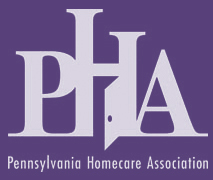 If you or a loved one is thinking about home care assistance, our team would love to help. Contact us today. Heerema, Esther. “Common Causes of Falls in People with Dementia.” Verywell.com. N.p., 31 Dec. 2015. Web. 30 May 2016. Perkins, Chris. “Dementia and Falling.” Continuing Medical Education 35.1 (2008): n. pag. Web. 31 May 2016. I can ALWAYS get in contact with NursePartners office no matter what time, and I work night shift! Holly and Jessica are so nice and they make sure I get directions to where ever I need to go. I love my co-workers I can always count on receiving a thorough report on my private duty patient.